* Leverage and coordinate across existing resources in the community to reduce duplication. Going forward, with the infrastructure developed by the Coalition to collect and review health data, along with the intricate web of community partners and resources, the next step in this program is to enhance feedback loops between partners and to help navigate patients seamlessly between partners during the highly fragmented experience of managing a pregnancy and healthcare during the interconception period. A formal network of communication between patients, case workers, care managers, providers and community resources through more sophisticated use of data and convening will allow us to support vulnerable patients in an even more effective manner. 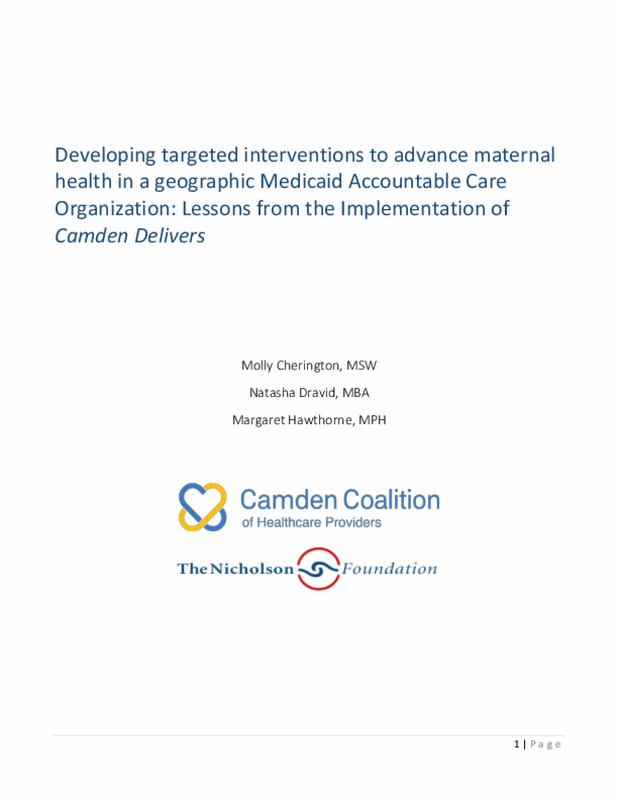 The Coalition looks forward to playing this convener role and working across groups to the end of better care management services and improved health for women of maternal age in Camden. Copyright 2017 by The Camden Coalition. All rights reserved.